The first time I visited Morocco ten years ago I immediately fell in love with this country! 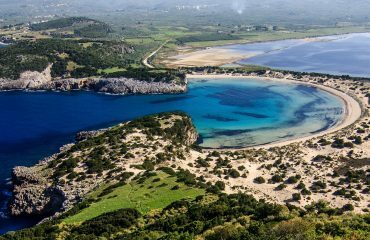 It is an utterly different world despite being just a stone’s throw from Europe. An incredibly diverse African country encompassing glorious mountains, serene deserts, stunning coastline and fascinating ancient cities. This time I came back in order to run a tour and I couldn’t be happier! Moreover, this was my last trip for the season, so I took the opportunity to spend more days in a vacation mode. 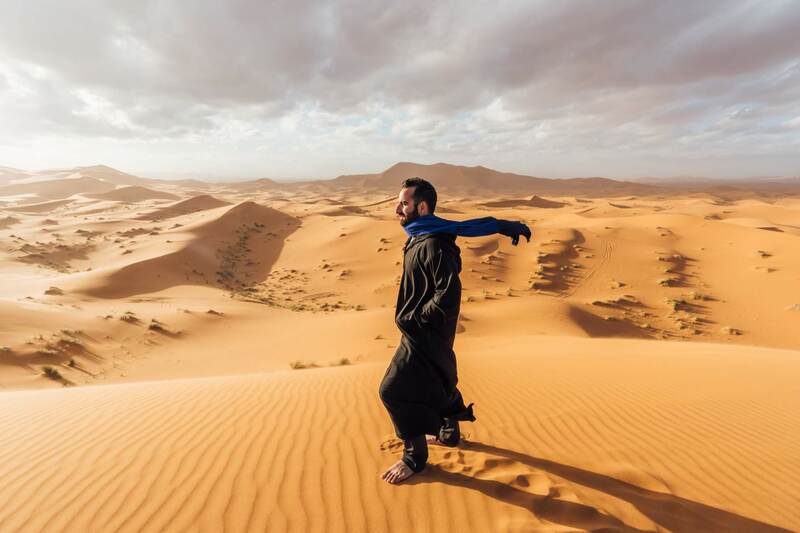 We flew from Athens to Rome and after spending few hours strolling in the historic center, we caught the connecting flight to Marrakesh. 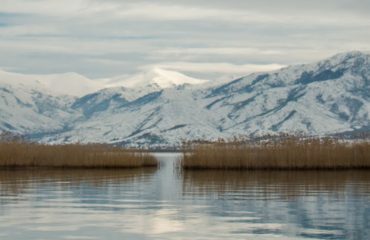 It’s a town of immense beauty and culture, that sits beneath the dramatic peaks of the Atlas Mountains. We arrived there late in the afternoon and already tired, so the claustrophobic labyrinth of the old town filled with tourists, vendors, scooters, donkeys and just about anything you can think of, was a bit overwhelming but at the same time a great introduction of what we were going to encounter. 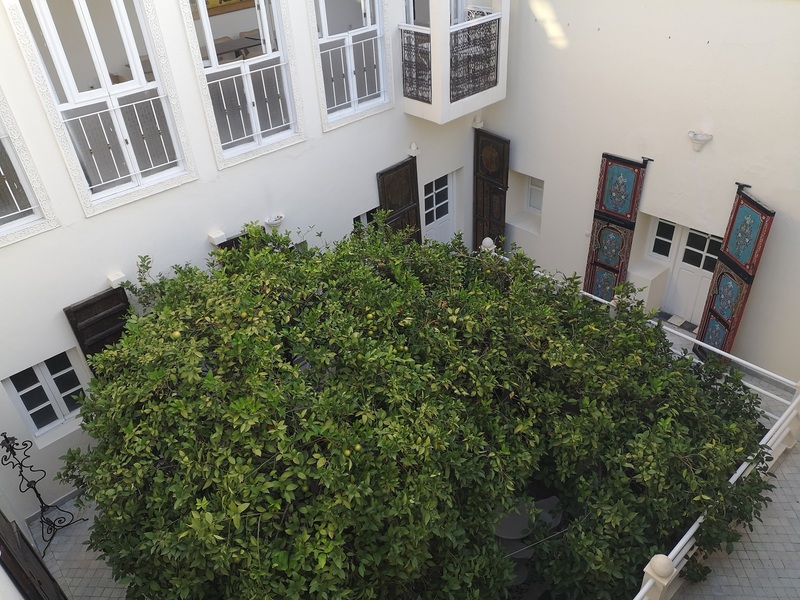 After a lot of asking and the help of google maps we found our riad, which is a large traditional house built around a central courtyard; in Marrakech many of these riads operate as guest houses and provide a much more intimate experience of the city than a traditional hotel. 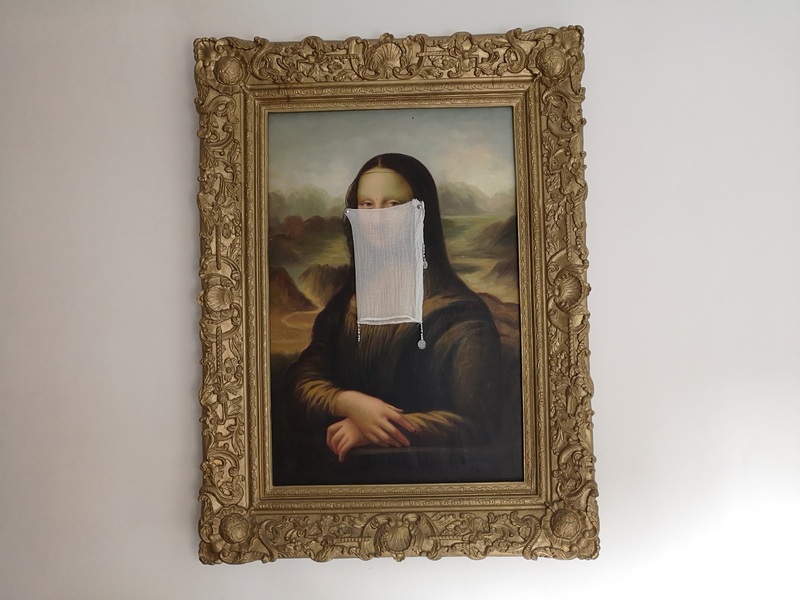 Such was the case with Hotel du Tresor, a beautiful palatial home full of light, a lemon tree and flowers. 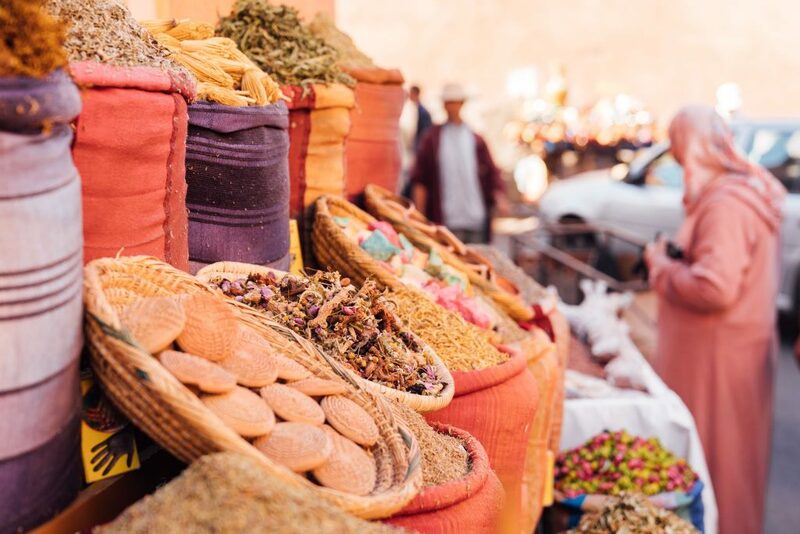 We spent the following day exploring Marrakech’s medina (old town) with it’s famous souks, a literal maze of shop vendors selling, well, a bit of everything: spices, bags, scarves, carpets, lamps, perfumes, clothes. There must be hundreds of these sellers in the souk, and it’s all incredibly overwhelming and chaotic, but an essential rite of passage in going to Marrakech. 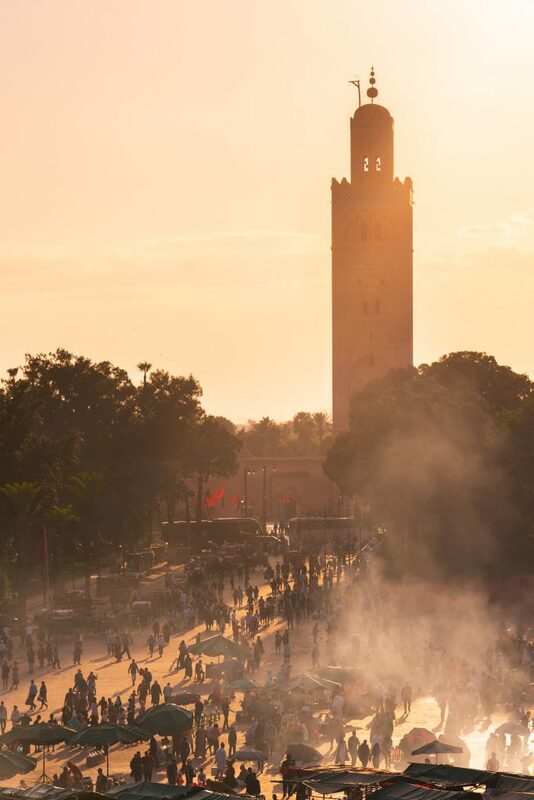 In the afternoon we headed to the square of Jemaa el Fna the heart of Marrakech. By day it is home to traditional street hawkers set up their almost identical carts selling freshly squeezed orange juice to snake charmers and men with monkeys on chains who urge you to take a picture with them. 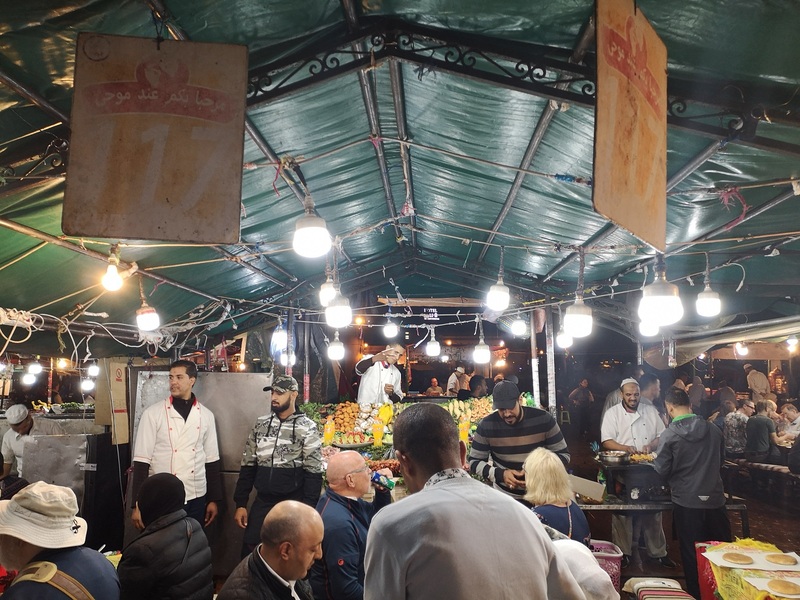 At dusk, it changes into a huge open-air dining area packed with food stalls, each selling an array of Moroccan cuisine. Sitting there for dinner while looking at the street performers surrounded by huge crowds who looked on appreciatively, definitely takes you back in time. 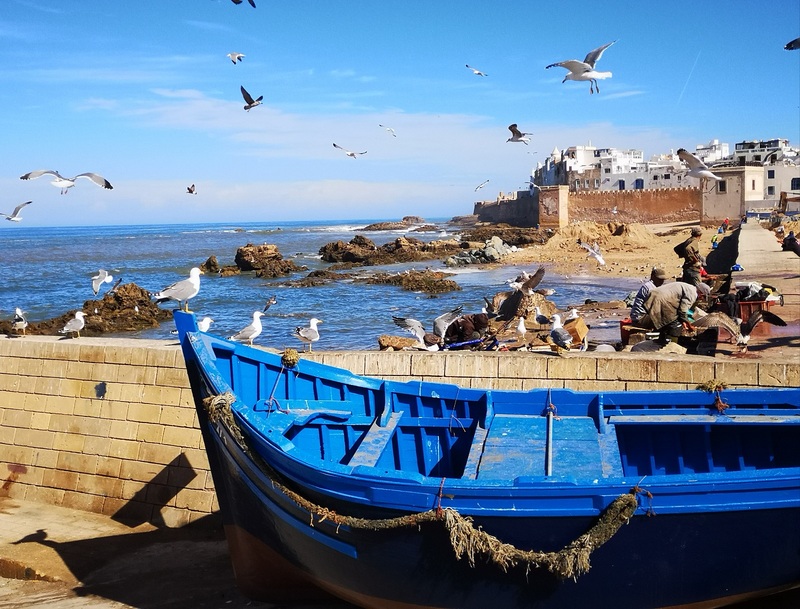 We spent few days in Marrakesh and then we decided to head towards the Atlantic coast, and the town of Essaouira in order to rest before the start of the tour. 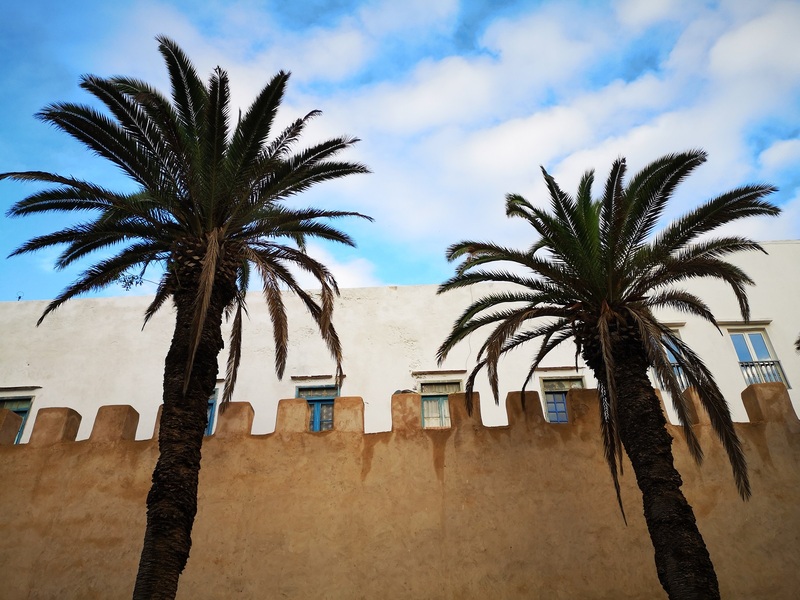 Once a Portuguese fortress the walled medina, it almost looks like a Cycladic white-washed village. 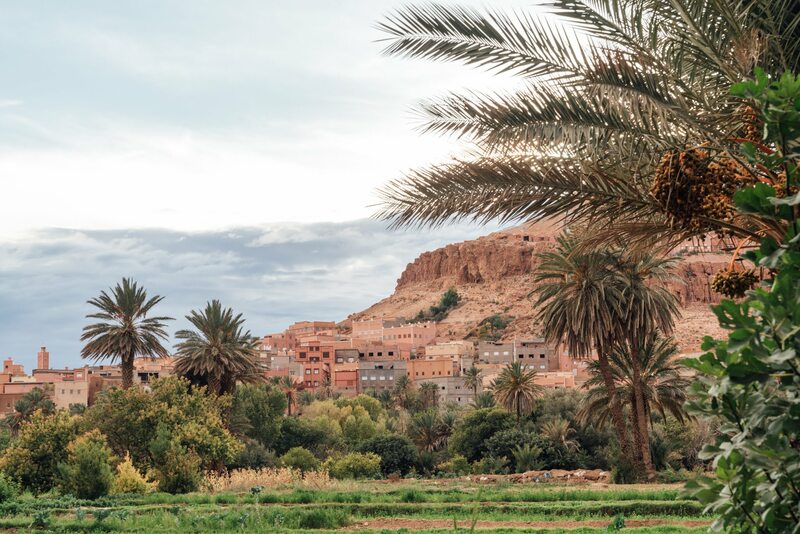 It has a constant sea breeze, wonderful markets, spectacular beaches and it radiates a laid-back vibe not easily found in today’s modern, hectic Morocco. We arrived there in the midday, so we went straight to the famous fish market for lunch. 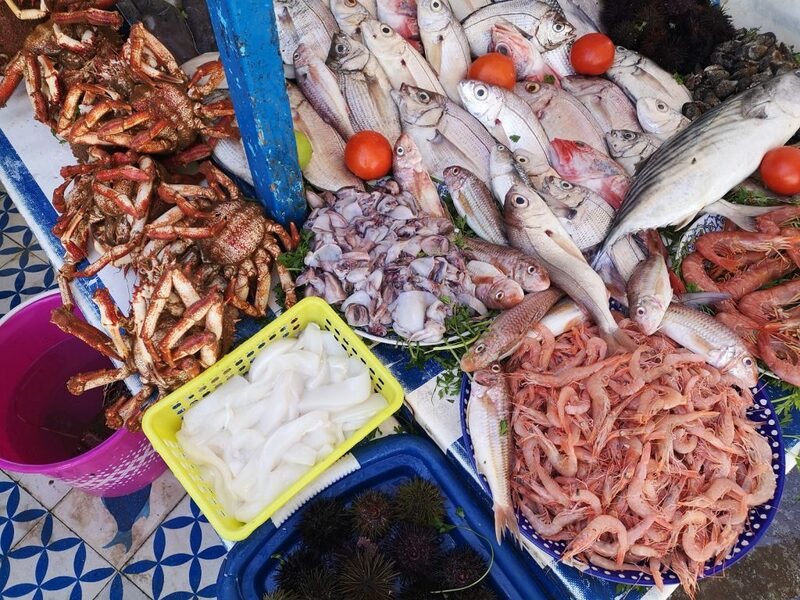 Located at the edge of the city walls right next to the port, the market’s blue and white shacks sell a wide variety of fresh fish and seafood where you can select your fish from their elaborate daily catch. 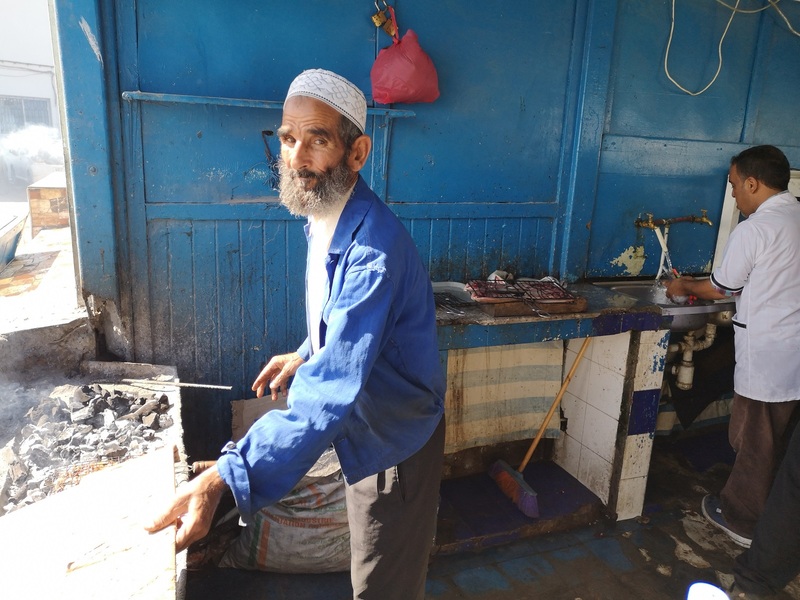 There were dozens of hole in the wall restaurants just a few meters away that happily cook your fish for you right there. 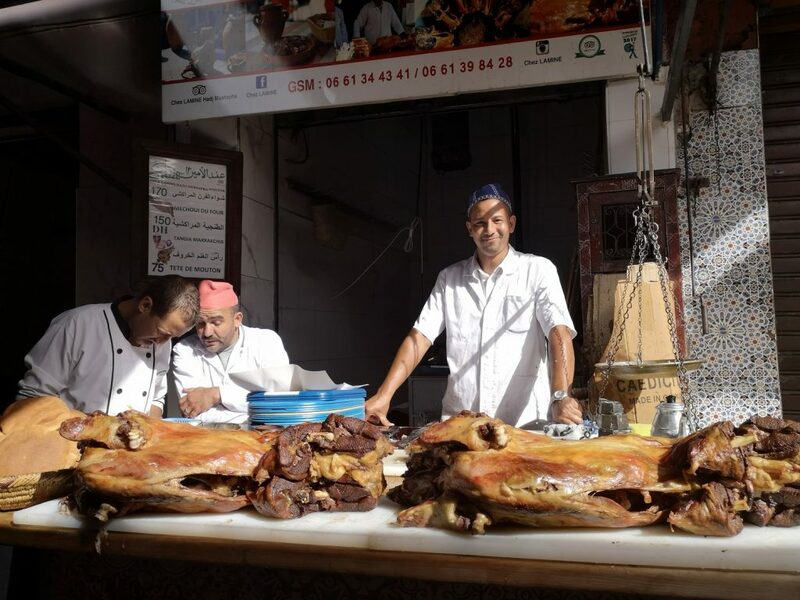 In general, in Essaouira we had the best meals while in Morocco. 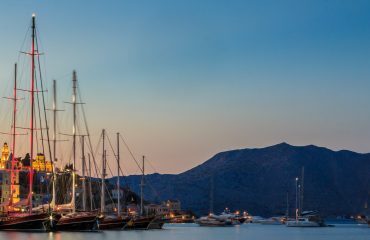 Obviously, it is famous for seafood however, the quality and range of local produce from the land – argan and olive oils, fruits, vegetables, and herbs – is less known but no less impressive. I think we will never forget the taste of the seafood moussaka at Triskala, a restaurant that we ate dinner all of our nights in the town. Essaouira is also famous for Gnaoua music, first introduced by the caravan men from Africa. The musicians play on percussion instruments (djembés) and strings (gimbri), and the dancers, entranced by the rhythm, use castanets called krakeb. One of the nights and as we were strolling in the medina, we heard that music calling us from somewhere above. We followed the sound and we end up in a terrace overlooking the Atlantic where a local band was performing. We were instantly hypnotized by the music! 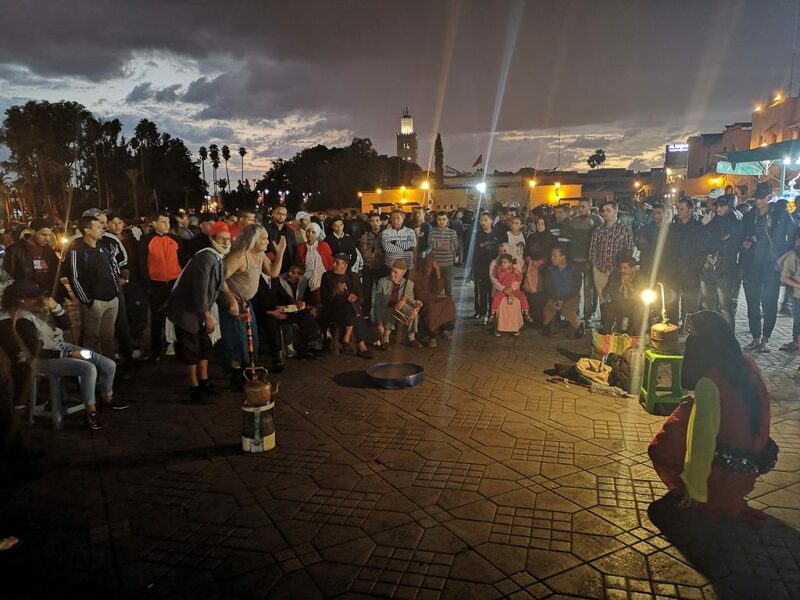 After all Gnaoua music has connections to all-night rituals called lilas, where people who are in need of physical or spiritual healing gather to witness and dance along to lengthy jams built atop hypnotic rhythms that are played out on the krakebs. After three days in Essaouira we took the bus to Marrakesh in order to meet the group. 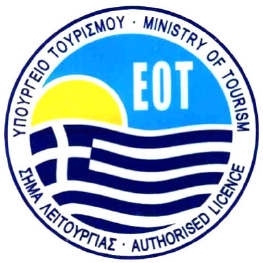 The great thing with this trip was that the participants were people I have travelled with in Greece so I it was like seeing old friends! 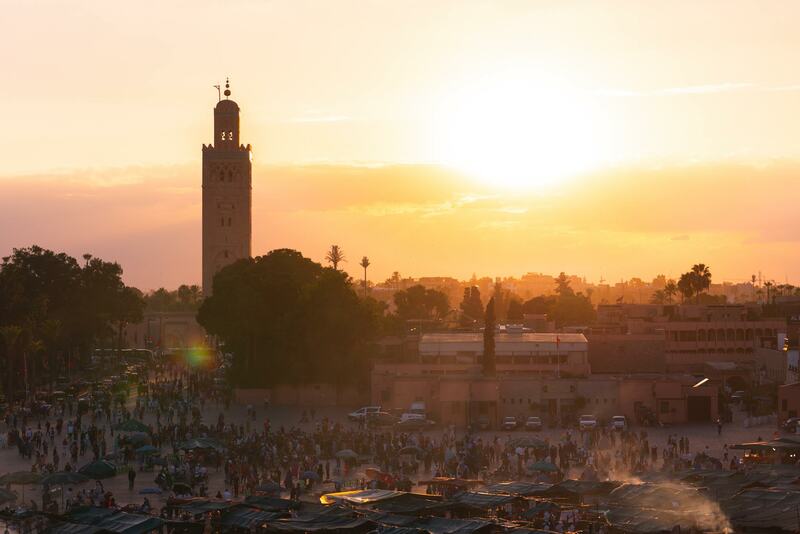 We spent the first two nights in Marrakesh exploring the city and the third day we started our road-trip. 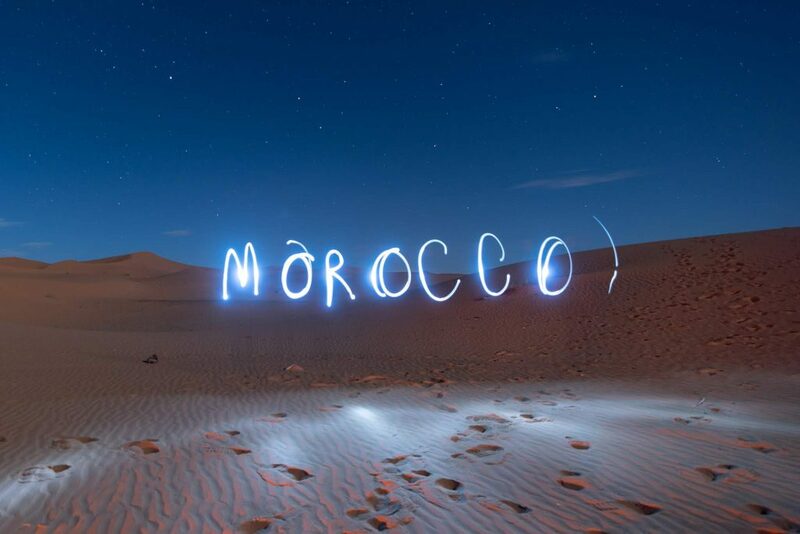 Morocco is a world-class place for road trips, with everything from precipitous mountain passes to dusty deserts. 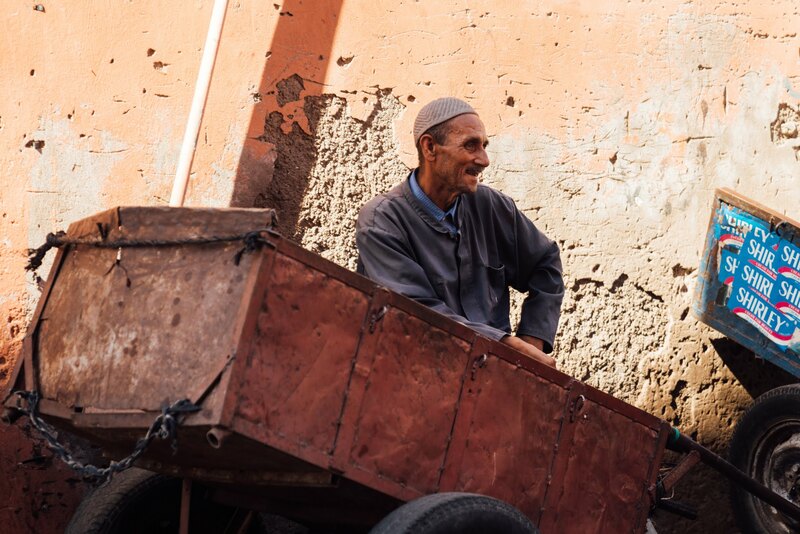 As the red city of Marrakech becomes just a distant memory in the rear-view mirror, the road south is lined with Berber villages, goats, and small barefoot children running around chasing chickens. 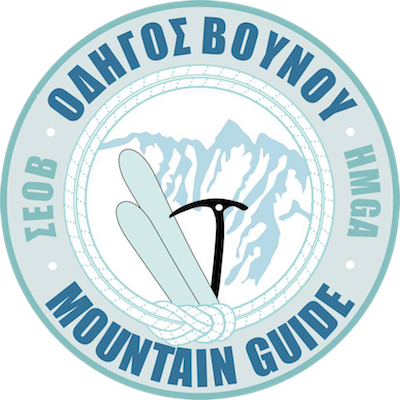 It climbs towards Tizi n’ Tichka Pass at 2 260 meters above sea level with stunning views of the surrounding landscapes. Soon we left the comfort of the main road, and we headed towards the geologically phenomenal rocky landscape of the Ounila Valley. 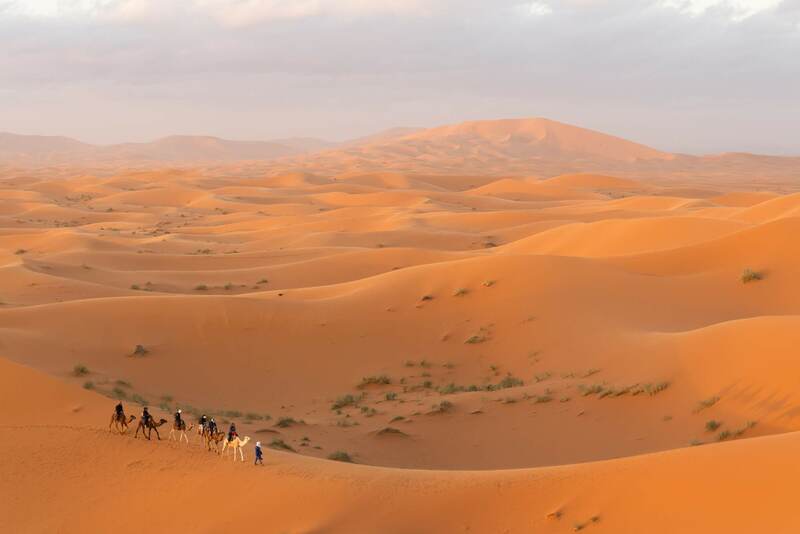 The valley used to be one of the main caravan trade routes from sub-Saharan Africa through the High Atlas to Marrakech. 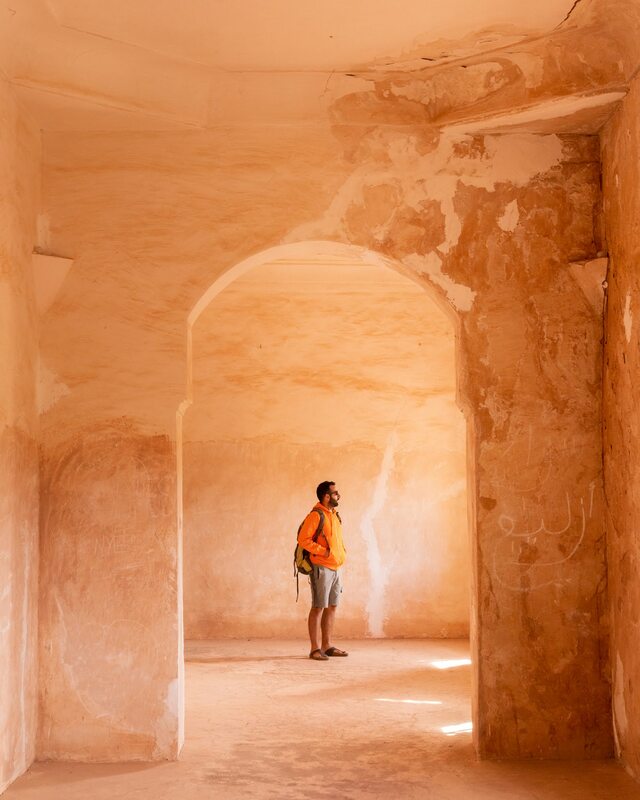 Towering sandstone cliffs, crumbling kasbahs and arid hillsides greet you at every corner. 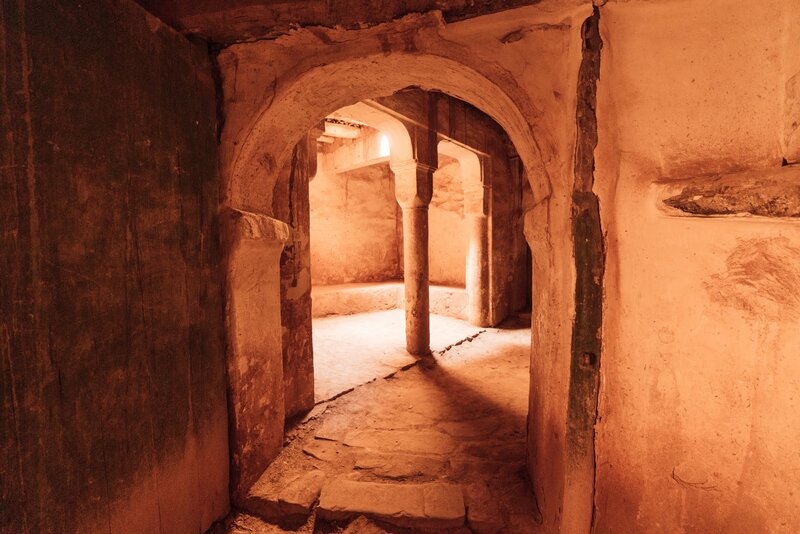 First stop was the Kasbah of Telouet, located in a fertile valley surrounded by palm, fig and olive trees. 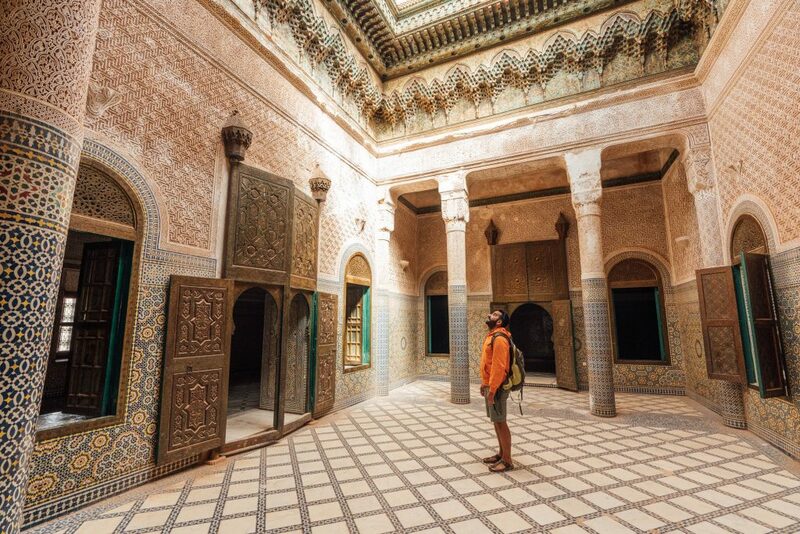 It is one of Morocco’s most impressive Kasbahs and the former headquarters of the legendary Glaoui family. 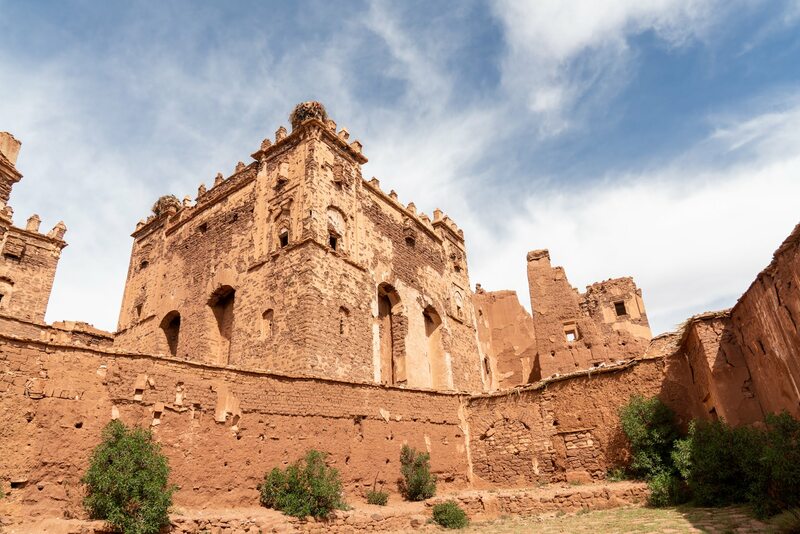 Built in the 1800s and abandoned as recently as 1956, the crumbling Kasbah gives a fascinating insight into the Glaoui regime, a family that rose to power in the south of Morocco during the late 19th Century. 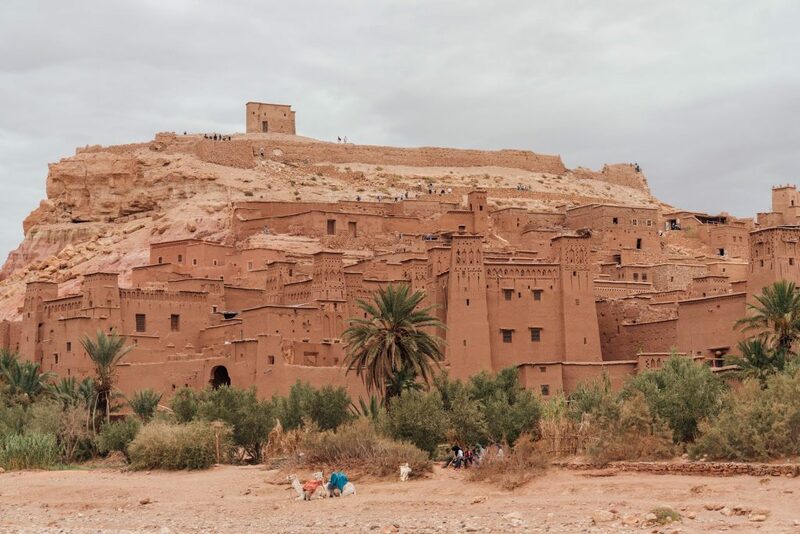 Next stop was the fortified city of Ait-Ben-Haddou. 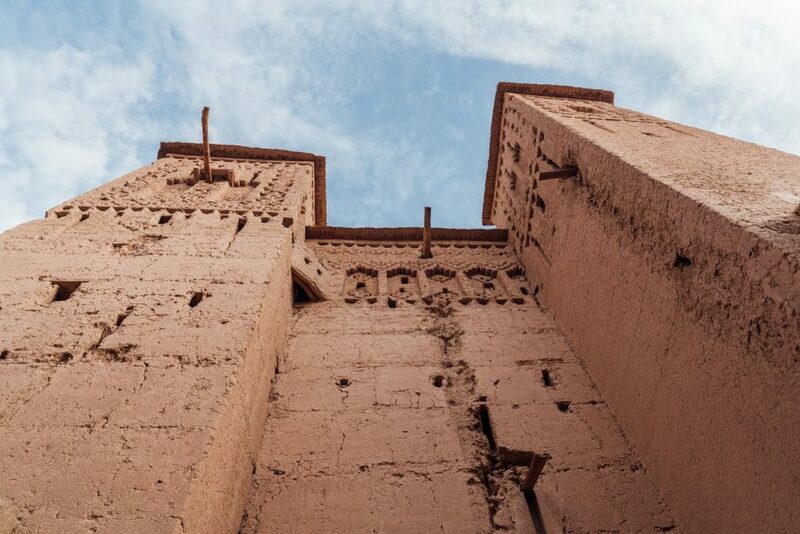 According to local belief, it was founded in 757 A.D. by Ben-Haddou, whose tomb is said to lie somewhere behind the city, and It consists of a group of buildings built entirely of local organic material and covered by a rich red mud plaster. 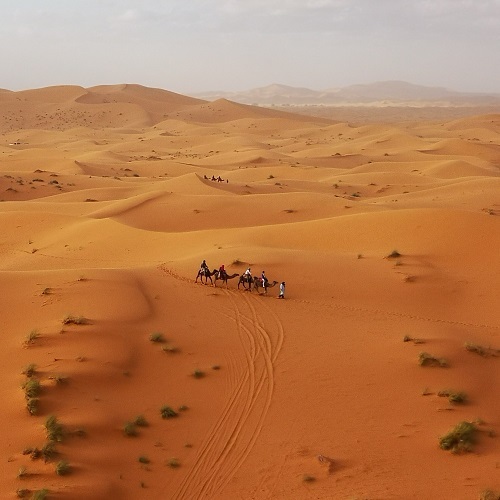 It owns its existence to the presence of the Trans-Saharan Trade Route which was connecting the North African coast to sub-Saharan Africa. 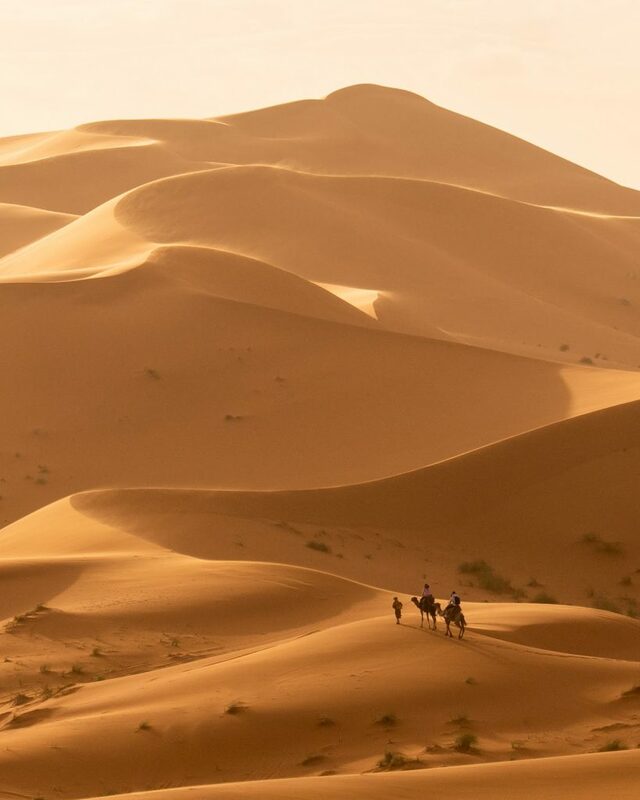 Trade goods, including gold, salt, and African slaves passed through these routes beginning in ancient times, and reaching a peak between the 8-th century A.D. and the late 16-th century A.D. When you climb to the top it’s the top it’s really clear why this location was so advantageous for generations. Leaving the Ait-Ben-Haddou behind, we continued through the Valley of a Thousand Kasbahs, to Todra Gorge and the scenery changed a lot. 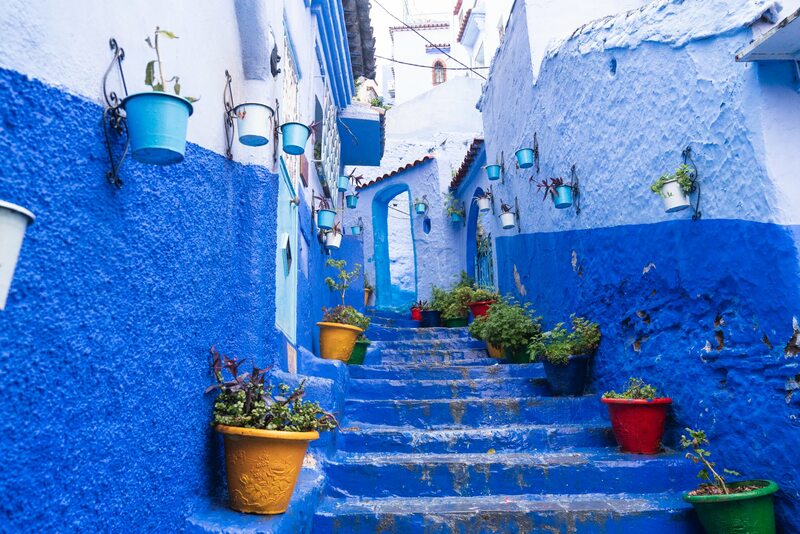 Some people say there are two different Morocco’s – the rural and the urban. But, I think there are many, many more. For a small country geographic differences are sometimes overwhelming. 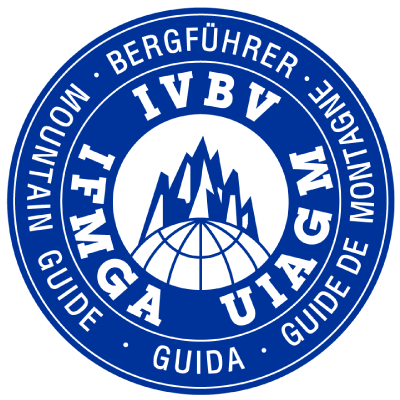 The country is divided by mountain ranges, deserts, forests, and some waterways. These natural borders make the differences even more glaring. Located in the eastern part of the High Atlas Mountains Todra gorge is a great example of that. 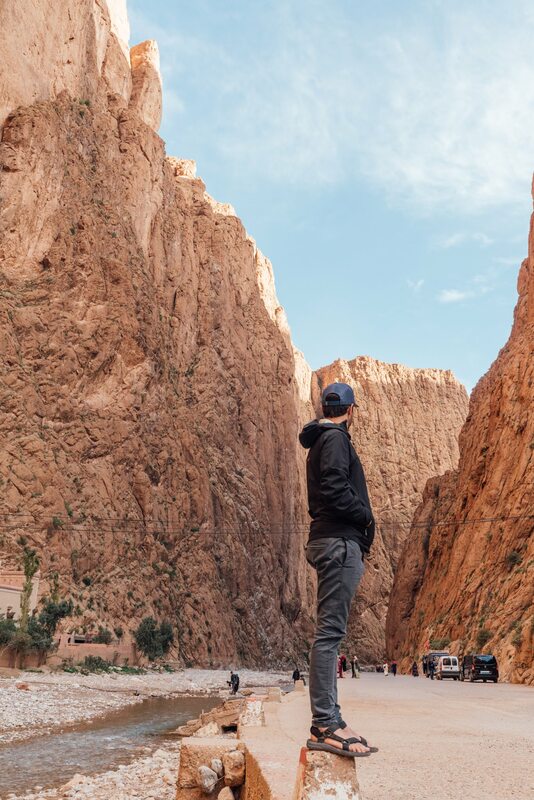 The Todra and the Dades Rivers have carved out a narrow canyon called Todra Gorge on their final 40 kilometers through the mountains. The gorge takes its most spectacular form about 15 km from Tingir. 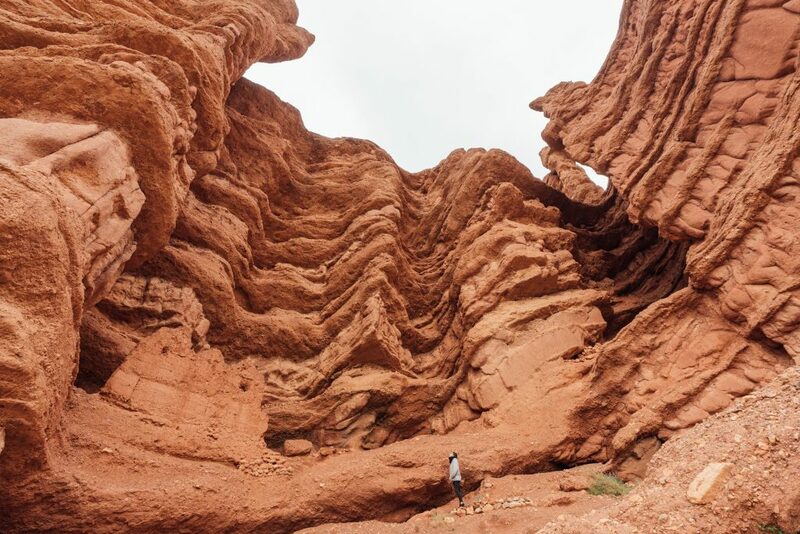 Here, for about 600 meters, the canyon walls closes in to a mere 10 meters from each other, while the sheer and smooth rock walls rise up to 160 meters on each side. We arrived there at the sunset and the walk through the canyon and the palm trees were simply magical. 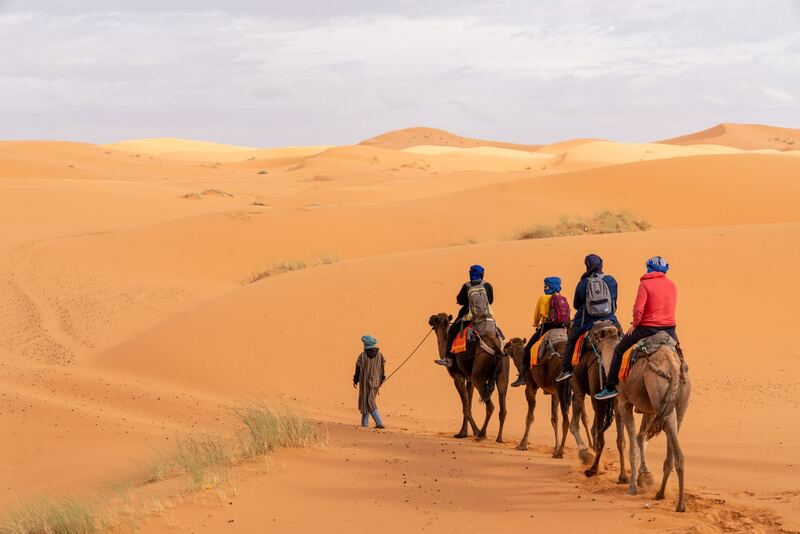 The following morning we all woke up really excited as we were heading to the Sahara Desert, a standout highlight for many travelers! 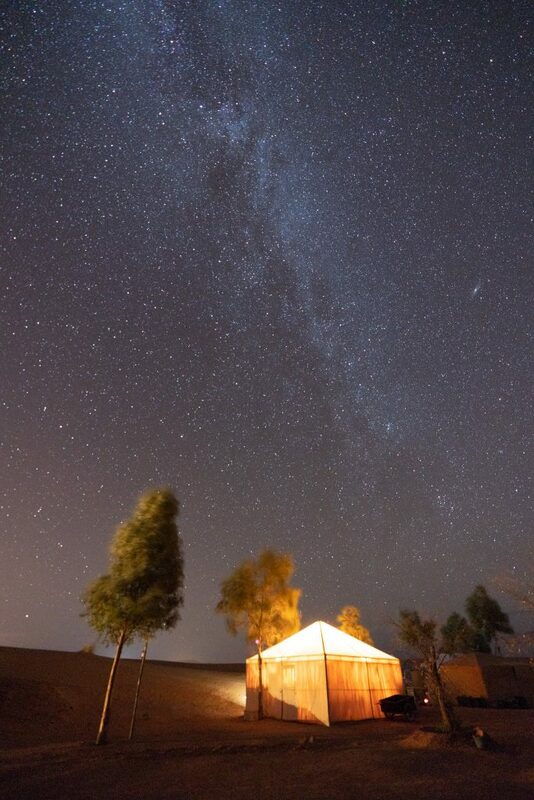 After all, a night in a desert camp under the stars is a truly unique experience. On our way there, the day was windy and rainy but as we reached the edge of the desert the weather changed and as we rode our camels a glorious sun was above our heads. 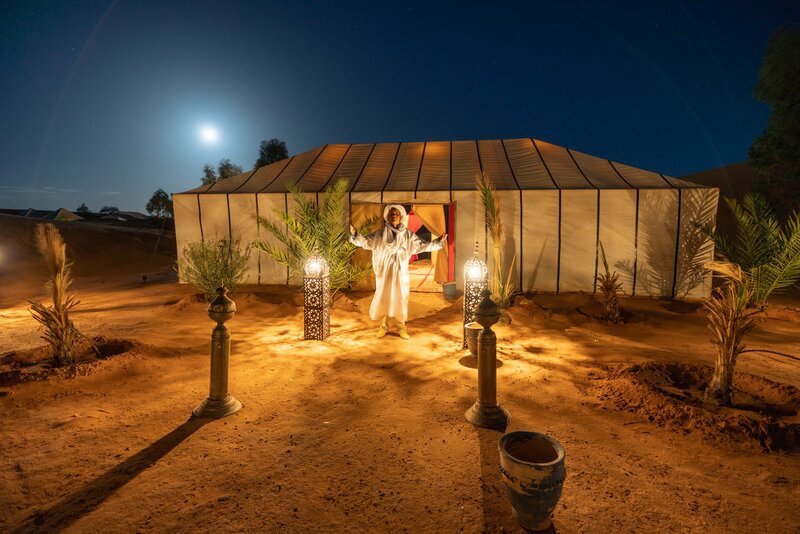 Riding a camel in the Sahara Desert to spend a night under the stars in a desert camp is not only an iconic experience, it is one of the most memorable of my life. 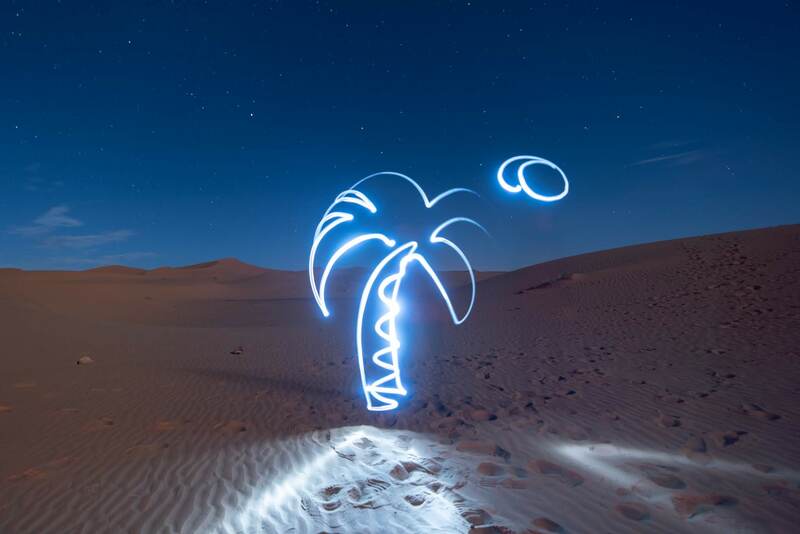 When you head into the desert the enormity of the terrain, the continually changing colors of the sand and incredible stillness is both overwhelming and peaceful. 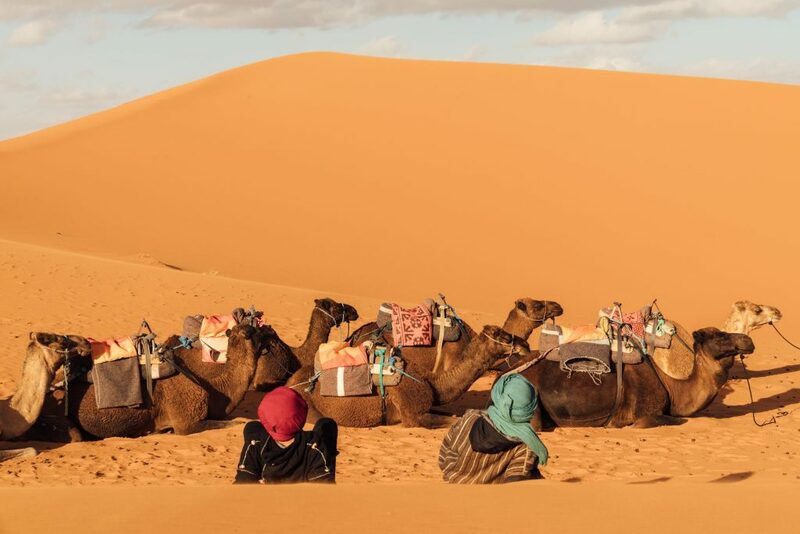 The camels are tied together with a rope much like the camel caravans used on the historic routes and they seem to know their way into the serene environment. 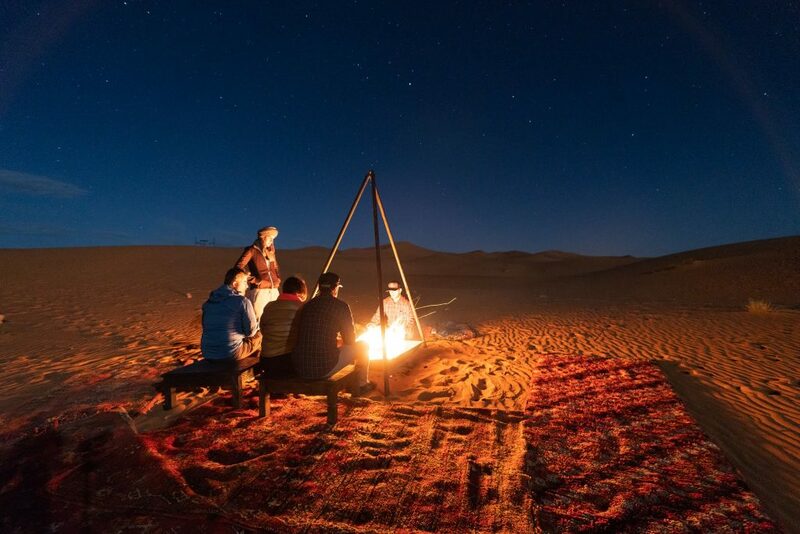 We rode them into the dunes to watch the sunset which was a magical moment and then we headed to out desert camp where we stayed up late shivering in the cold looking at the stars, the milky way, and the never-ending sky. 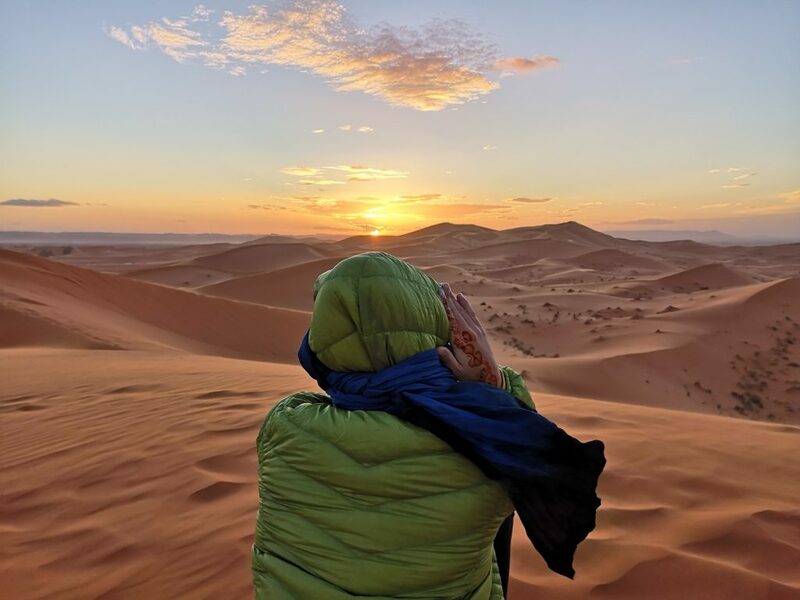 The next morning we woke up early, we saw the sunrise above Algeria and after a hearty breakfast we rode again our camels back to the town of Merzouga for the long drive to Fes and one of the biggest adventures of the trip. 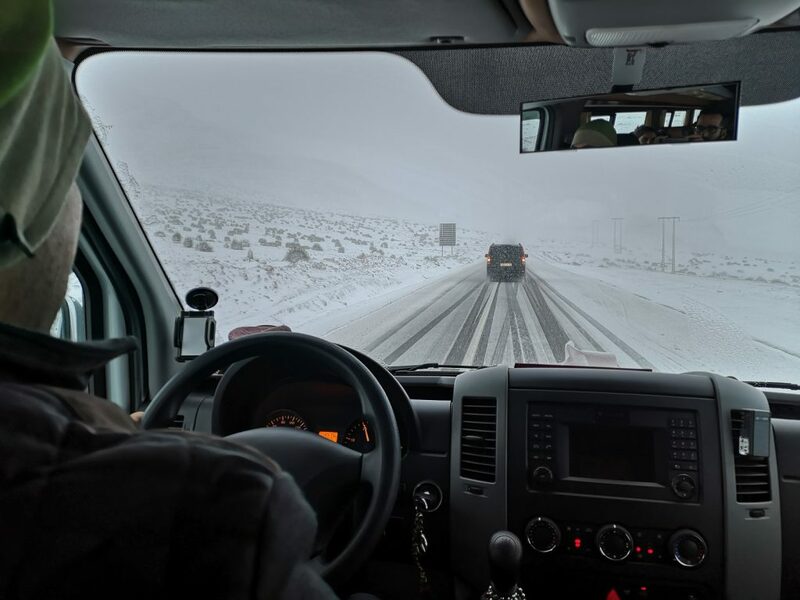 We knew that we needed to be in the bus for 9 hours, what we didn’t knew was that we were going to face one of the worst snowstorms in the last 30 years and the drive will last for 19 hours! When we first saw the snowflakes we were super excited as it was totally unexpected, but as we were going towards the high pass to Fes it got worst and eventually we had to spent many hours waiting for the road to open. The fun part of it was that we helped a lot of drivers by pushing their cars and that our spirit was high especially when we managed to reach Fes just on time for Ari’s flight at 6:00 am the next day! 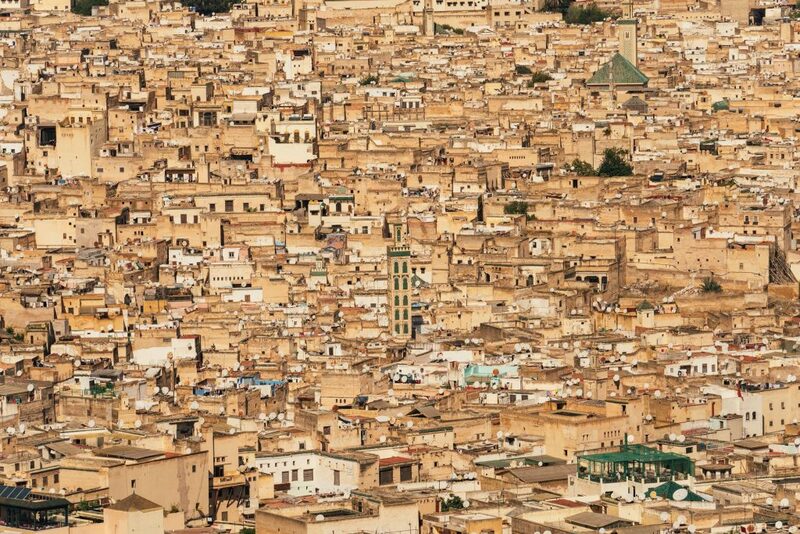 We slept for few hours and then we spent the rest of the morning following our tour guide as we were escorted to the major attractions of Fes. 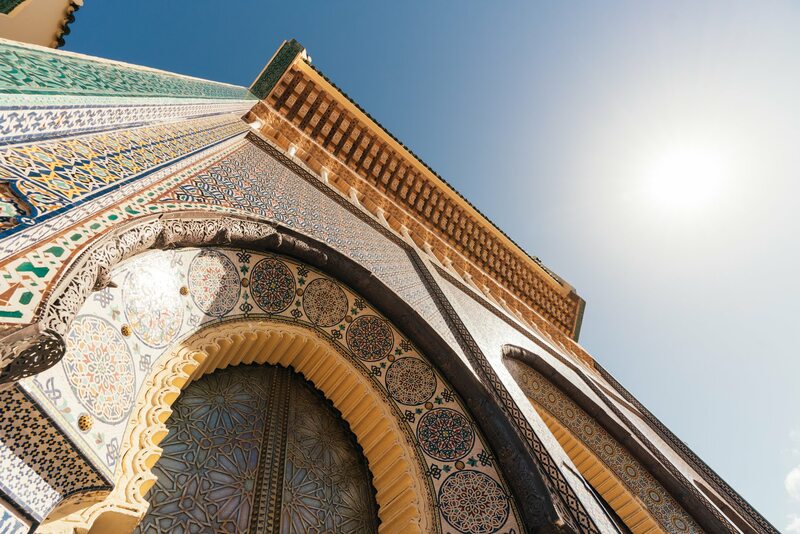 It is the oldest of Morocco’s imperial cities, a fascinating collection of urban centers built across the ages. 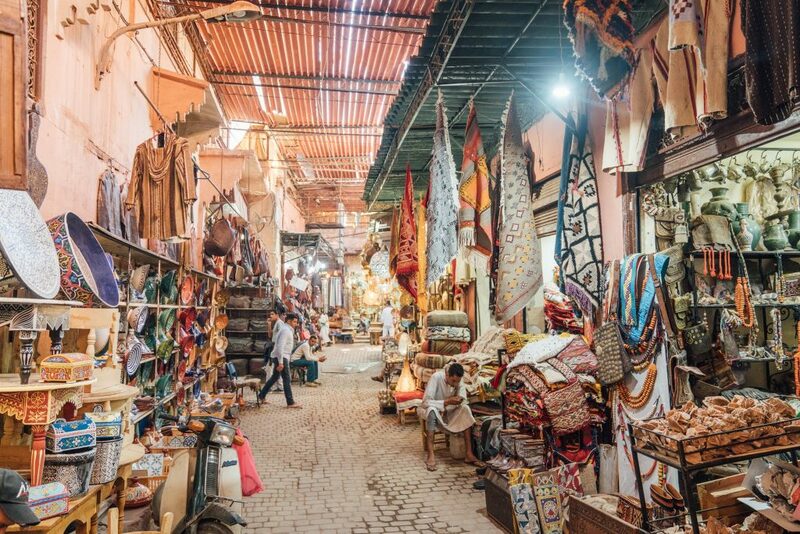 The entire medina is a designated Unesco World Heritage site and It hasn’t changed for centuries, a place where ancient traditions are still in everyday practice. 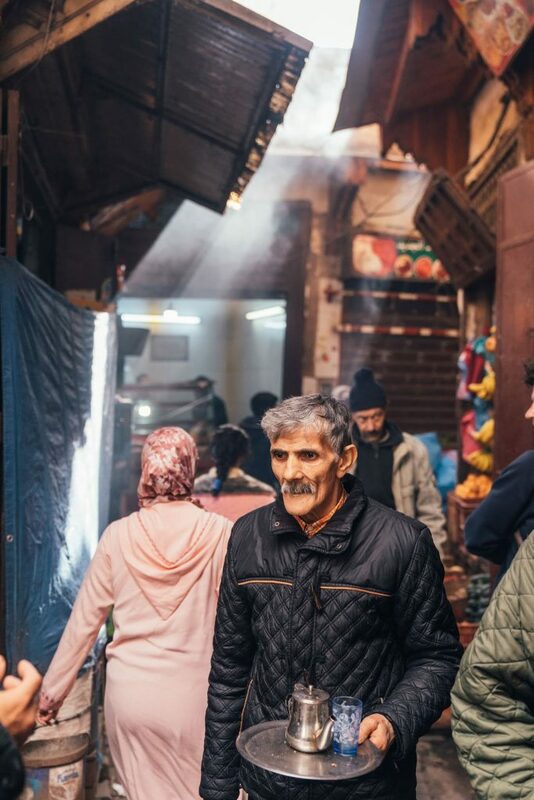 The narrow streets and alleys, some barely an arm’s length wide are crammed with hundreds of merchants and skilled artisans, crowds of locals and tourists brave enough to find their way through the maze. 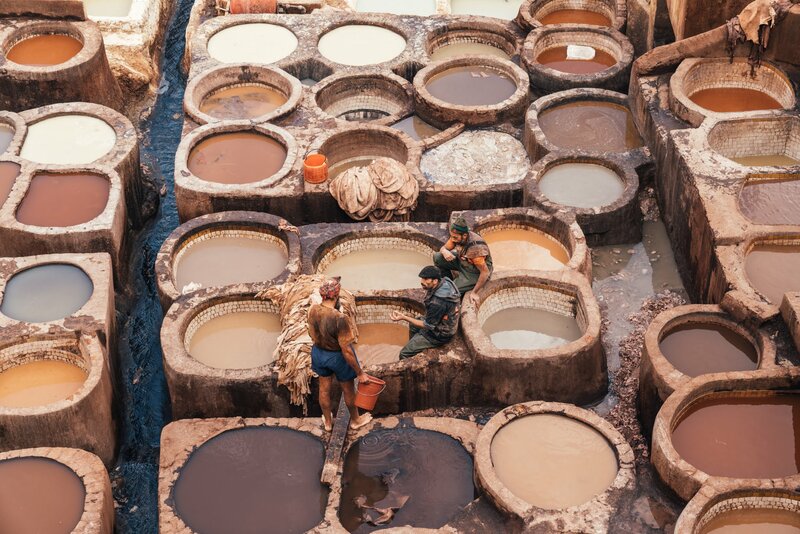 The most interesting part of the tour was when we followed our nose to the Tanners Quarter where barefoot workers dye skins in a kaleidoscope of little stone pools. 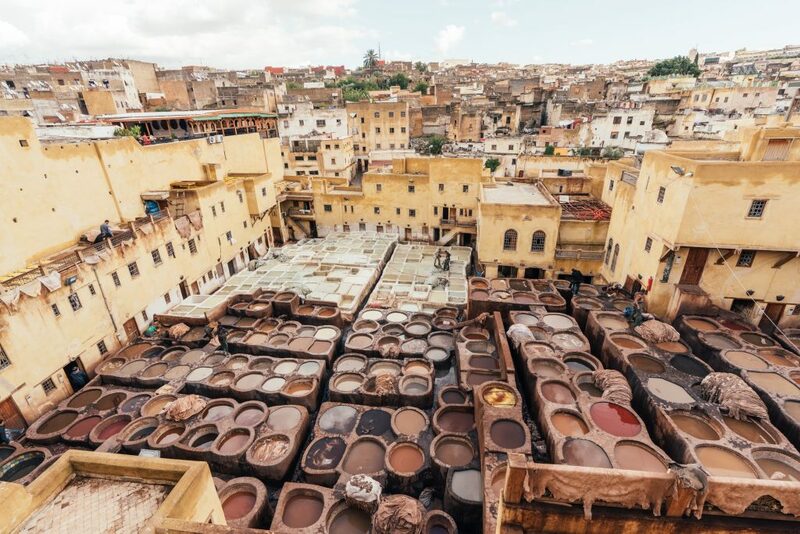 The tannery still operates as it did a thousand years ago and It is the place where cow, sheep, goat, and camel hides are brought to be preserved, dyed, and turned into the handbags, jackets, and wallets sold in the surrounding souks. Last stop of the trip was the blue city of Chefchaouen, one of the most photogenic place I have ever visited. 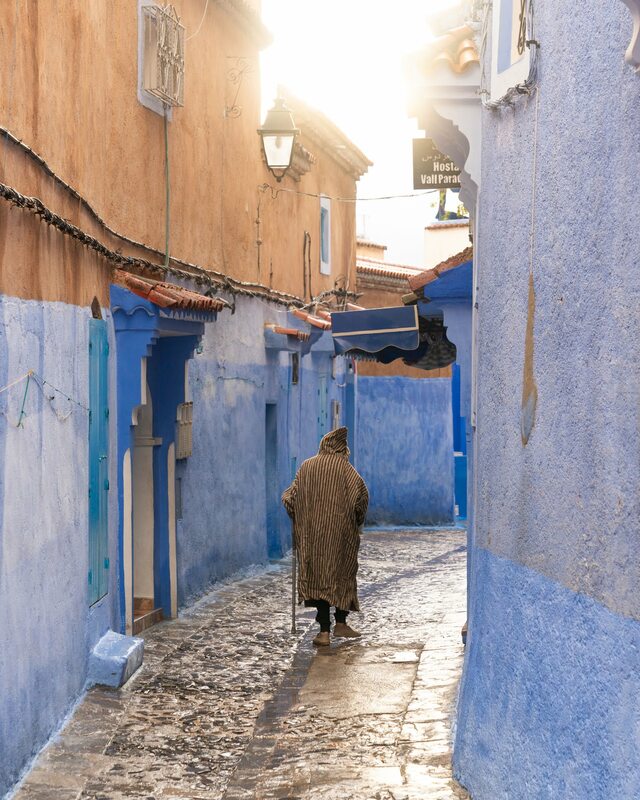 Once a remote village that few Westerners had ever heard of, Chefchaouen is now highly accessible and has, in my opinion, one of the most beautiful medina in Morocco. 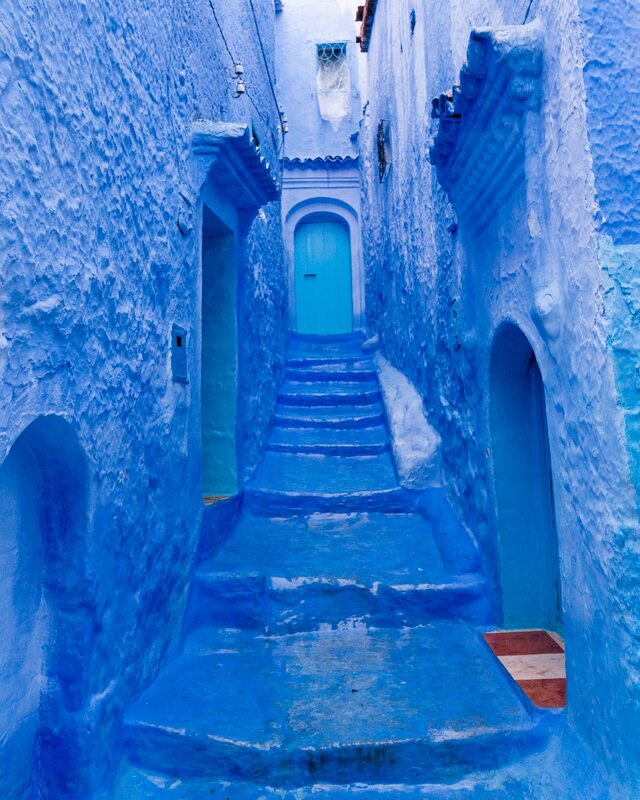 The walls, the doors, the doorbells, the house numbers — everything is painted in different shades of blue. It was the perfect ending of an amazing trip, in a country that I know I will come back…Hopefully soon!